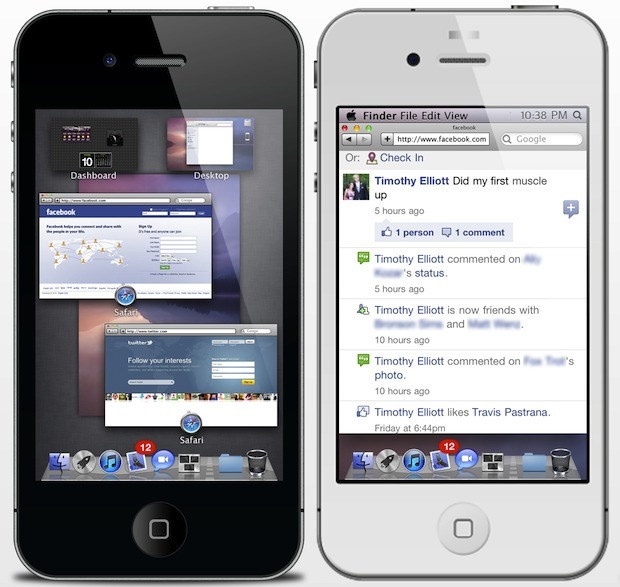 Called “OS X Lion Ultimatum”, it may be one of the most advanced iOS themes that’s available out there. 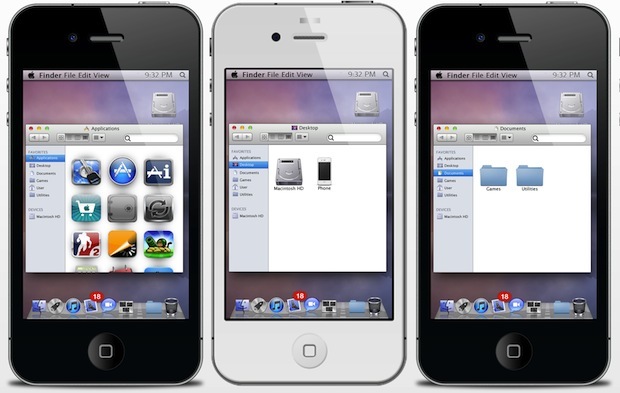 It’s currently in beta but will cost $3.50 and require Dreamboard and a jailbreak. You can follow development over at MyMyi Forums but it should be released soon. Screenshots don’t do it as much justice, be sure to watch the two videos embedded below to get a full grasp on how convincing the theme is. Hopefully the themes Mission Control function will also turn into an application switcher, making it even more authentic, but it’s still very impressive as is. No wonder Apple is busy hiring people out of the jailbreak scene! That’s nice but the buttons and navigations are too small for fingers. @Parakeet: How does somethnig “Look” buggy? it looks good on the demo, but its very very not user friendly to the finger, the buttons are all just toooo small and hard to press, it’s a good buy but trust me, you wont be using it for long. There must be reason why apple wont make the exact same design on iPhone. 1st, due to iphone small screen ! 2nd, its 2 different devices ! Hi and warning to all reading this article..
i would whole heartedly request this item is removed from all blogs soonest before more people are ripped off. This is not a polite request…. my email is included so feel free to email me about this. Add to that this would be illegal because they are ripping off Apple’s Mac OS interface and making people pay. No one has the right to reproduce the Mac interface except for Apple. First of all, Cydia is illegal. Second of all, the creator never said he created Mac OS X and he doesn’t own the rights. Lastly, google “hackintosh”. That’s illegal. But it still exists. Does it also work with the iPad? I need help! I purchased this theme, but as a novice I have absolutely NO idea how to install it and get it running! I bought sirtimothy1’s Dreamboard theme when it got released and got so pleased with it ! – this theme is very RAM-greedy (Dreamboard themes are RAM eaters) due to the extensive coding done within to tweak IOS. The graphics are soooo well achieved, the menus very nice too. It is true that the menus require petite fingers, or several attempts to launch some of theme, but it definitely is a must buy. Specially if you’ve become Mac addict. I am. can this be done on the ipad? It seems no. I browsed through dreamboard’s ipad theme, os lion is not on the list. I would only put this on my ipad if it is possible. Seems to small for a phone but on the iPad it would be perfect. Looks so cool! I tried to buy it but it just said “We are unable to complete your requst at this time. Please try again later.” Did this happen to anyone? If so what do i need to do to get this theme! same problem encountered. My Pay Pal account is fine on its own.